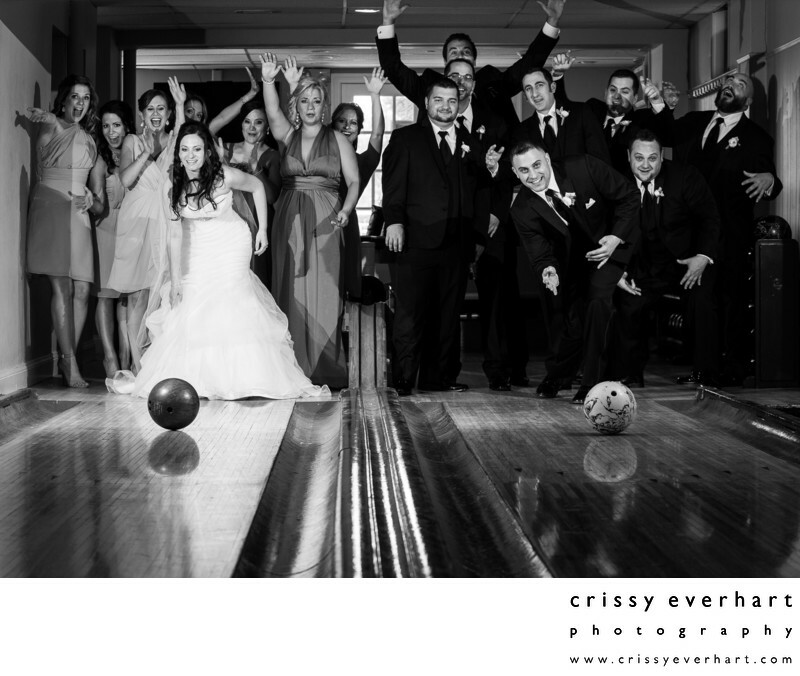 The bride and groom each have their teams behind them as the bowl at the private lanes in Mountain Lakes Golf Club in New Jersey. The bride bowls her something blue, and the groom rolls a black and white marble ball. In the back ground the girls cheer on the bride and the guys cheer on the groom. (The bride won!) This image was lit with two speed lights off camera on either side of the bowling lane. I sat in the middle then would jump up when the ball was coming!